Vox Day sort of replied to my answer to Dave Freer (just to make that whole exchange even more weird). His plan is otters! Also I get a promotion! Of course, I am not at liberty to reveal the Rabid Puppy 2 strategy, in part because we are still in the first two stages of the OODA loop, observing and orienting. (Sorry, Tom, I couldn’t resist.) But in the interest of further demoralizing the already-retreating enemy, I’m not reluctant to reveal one of the new weapons in our arsenal. That’s right. The Evil Legion of Evil is training a corps of Amphibious Assault Otters. Armed with acid-filled squirt guns and supported by a crack squad of Attack Manatees, they will emerge from the rivers and literally melt the faces of the SJWs attempting to burn bridges as they continue to retreat. Good day, sir! 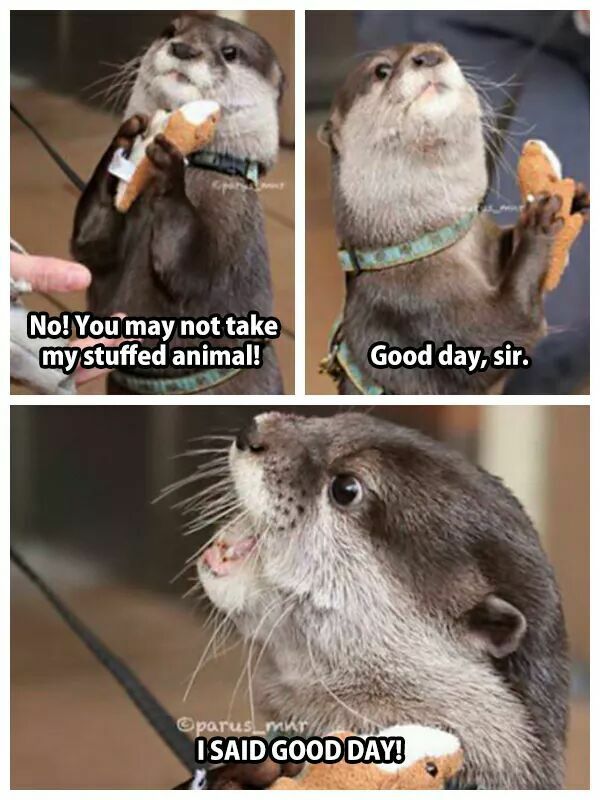 I said good day! [SIGH] Why is it that the more overtly awful ones are the funny ones?